Bobby Bender is a Comedian available for Comedian Hire and also as a Singer with over twenty years experience and is noted for his quick fire wit and ability to adapt to all types of audiences. He is a dedicated and thorough professional available for Comedian Hire, rehearsing his act to the split second, which ensures perfection in his delivery and performance. 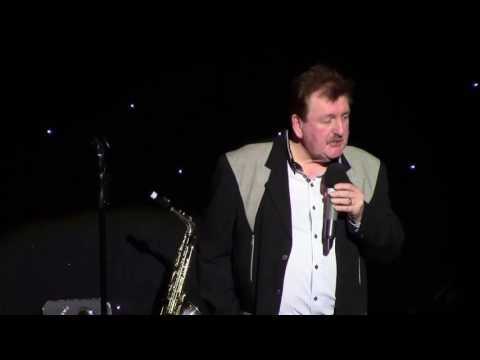 A highly experienced and talented Comedian and Singer having sung in bands and plied his trade as a Comedy Vocalist his repertoire includes all the big hits from 50’s-80’s and he can provide two spots of entertainment during your party or event. Bobby Bender has varied the application of his talents right across the board. He has supported legends of entertainment along the way for example The Drifters and The Hollies. Bobby is an experienced and amusing after dinner speaker. In this role he has worked with many sporting celebrities including Tommy Docherty, Ian St. John, Alex Murphy OBE, Alan Lamb and David Shepherd. In the summer of 2000 Bobby Bender worked at the Central Pier Blackpool performing in front of family audiences demonstrating his ability to make people laugh without resorting to the use of bad language. In complete contrast, he is also recognised as a fine Adult Comedian suitable for Comedian Hire for Adult only events, with the ability to destroy hecklers in a second. A regular entertainer at Boxing Dinners Bobby has worked with many Boxing Legends including Ricky Hatton, Sugar Ray Leonard and Alan Minter and has built a strong reputation in this area of his work. With Bobby’s reputation growing steadily early booking is recommended.